The Colombia World Cup team are a lively bunch, even off the field. The South American team has thrilled the crowd with their football skills and cool dance celebrations in Brazil so far. While they were not training for the next game, the guys decided to pull a prank on Pablo Armero, the former West Ham left back. 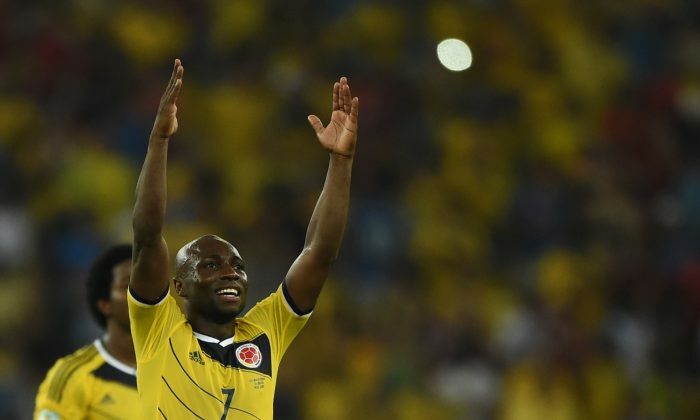 See James Rodriguez and two other Colombia players give Armero a “little” scare in his hotel room. Check out an AP article below.